While I usually wear trail runners for the majority of my hiking there are specific occasions that I do wear boots, and more specifically boots with a suede outer as opposed to a standard leather boot. My main use for this type of boot is to ensure that my feet are dry and warm and this normally means heavy snow. It’s at this time that I’m wearing my La Sportiva mountaineering boots and having dry feet is crucial to keeping warm and preventing potential frostbite. While the boots themselves are extremely well made for this type of conditions the waterproofing does have a limited life and there is a need to apply a waterproofing product on a regular basis. 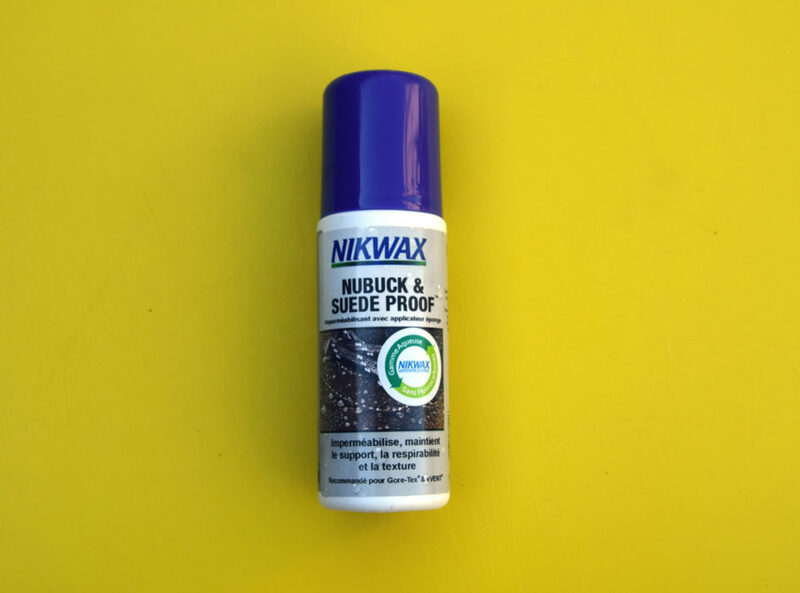 I have been using Nikwax Nubuck & Suede Proof for around three years now and this product does an amazing job in keeping water from seeping in through the fabric of the boot. The last time I did some serious snow work I was walking through mid calf depth slushy snow for a week and at no stage did my feet get wet. The only downside with this product is that it can get expensive if you are using it fairly regularly. Having said that having dry feet in snow conditions or even when its a wet environment makes a huge difference to your comfort and potentially safety so its an expense thats worth incurring. If you are doing lots of wet weather hiking and using this product on a regular basis it can work out to be expensive. Having said that it won’t be expensive on a per use basis.